My T. Thai, Ph.D., a UF Research Foundation Professor, has been selected as the Associate Director of the Institute. Thai was previously the Associate Chair of Research in the Department of Computer & Information Science & Engineering (CISE). She received her Ph.D. from the University of Minnesota, Twin Cities in 2005; and she has been on the faculty of the Herbert Wertheim College of Engineering since 2006, receiving $6 million in grants over that time. Thai received an early career award from the National Science Foundation (NSF) for 2010-2015 and a young investigator award from the Defense Threat Reduction Agency (DTRA) for 2009-2014. She has authored or co-authored more than 250 research papers and received the 2014 IEEE MSN Best Paper Award and the 2017 ICDM Best Papers Award. Her research interests include many areas that touch on the connected world, including blockchain, scalable machine learning, security and privacy, big graph mining, complex network analysis, approximation algorithms and optimization. “This is a tremendous opportunity, and there are so many great things we can do at the Institute. I’m looking forward to working with my colleagues to smartly connect everything in a meaningful way – to improve quality of life and to generate the best workforce in the IoT-related areas,” Thai said. 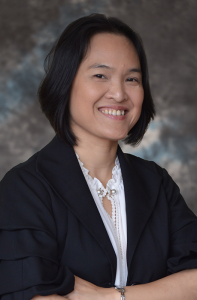 In her role as associate director, Thai will coordinate institute strategy, research, education, and training as she helps to raise the visibility of the institute nationally. Cammy R. Abernathy, Ph.D., Dean of the Herbert Wertheim College of Engineering, is certain of the role that UF can play in this transformational period in our history. Read more about The Warren B. Nelms Institute for the Connected World and its leadership.